Early Access to new videos & Exclusive Podcast. 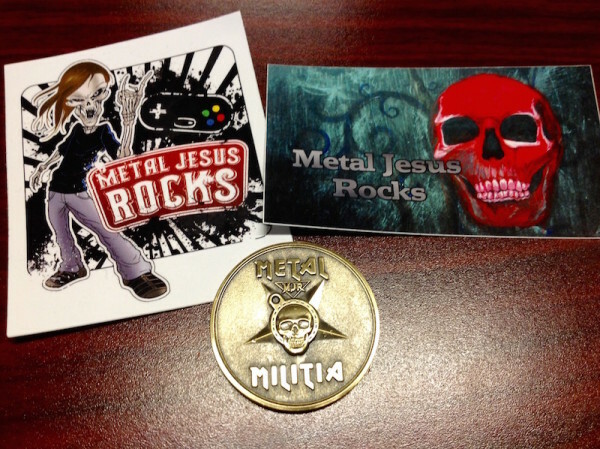 You get early access to new videos, Patreon exclusive music PODCAST & you get that warm fuzzy feeling knowing you help fund Metal Jesus Rocks and you are part of the Metal Militia! For those about the Rock, We salute you! Exclusive Discord Chat + Q&A Videos! Previous Tier + access to the official Metal Jesus Discord Chat! Want to share your latest game pickups? Talk Hidden Gems, Music, Movies or Big Box PC games? Come join the conversation! Exclusive access to VIP channel of Discord chat + Metal Militia Coin.